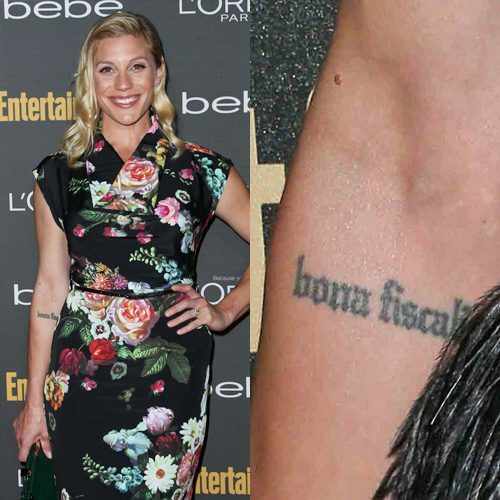 Katee Sackhoff has on her right forearm, just below the elbow, a tattoo with the Latin phrase “bona fiscalia”, which can mean “good year”, “good property” or “public property”. 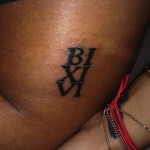 Danielle Lloyd had the Latin phrase tattooed on her left shoulder blade during a visit to Universal Studios in LA. 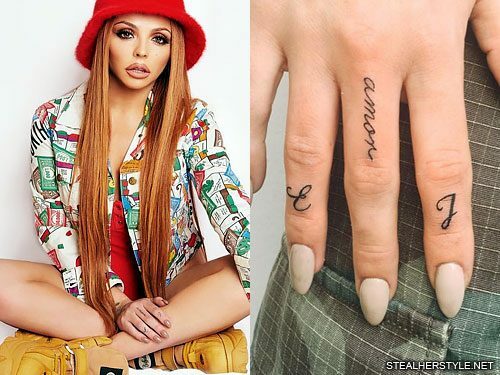 The latin words “Quis attero mihi tantum planto mihi validus” translates to “To diminish me will only make me stronger”. 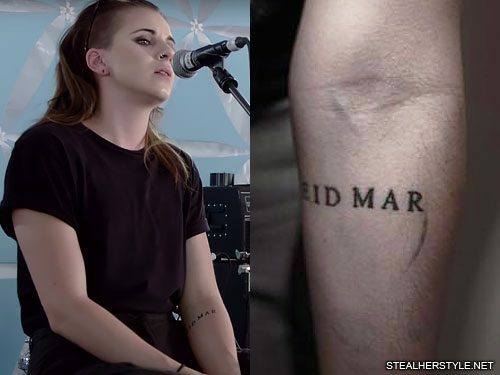 Lynn Gunn has a Latin tattoo on her left elbow says “EID MAR.” It is an abbreviation for “Eidibus Martiis” a Latin phrase meaning “on the Ides of March.” The Ides is the middle of each month in the ancient Roman calendar, with the Ides of March falling on March 15th. 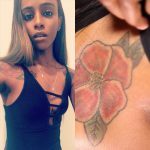 The Ides of March was a religious holiday, but is most famous as the date that Roman dictator Julius Caesar was assassinated on in 44 BC. 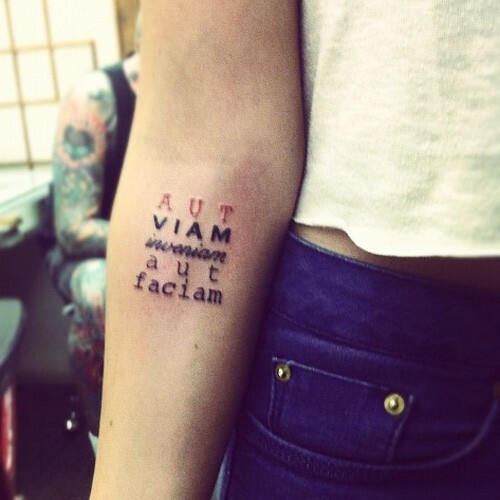 The phrase “EID MAR” began appearing on Roman coins following Ceaser’s assassination. 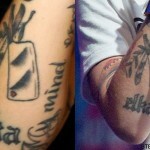 For Lynn, the Ides of March has personal meaning because her birthday is on March 15th. 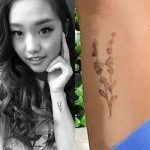 Actress Kelli Berglund hit up West 4 Tattoo to get inked by Jon Boy on September 16, 2016. 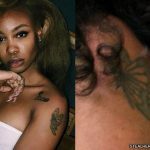 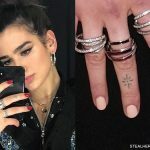 “Hurt like hell, lollipop didn’t help, but my tattoo’s better than yours”, she posted on her Instagram account. 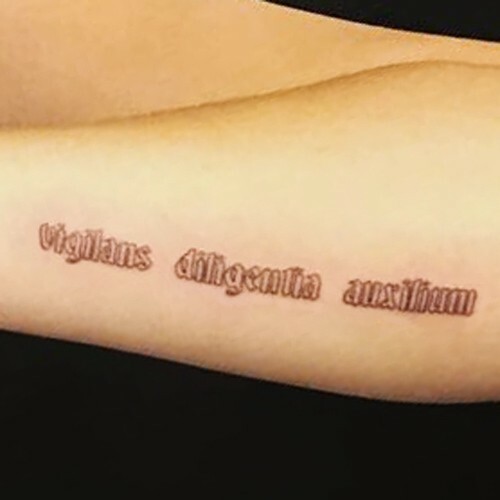 She had “vigilans diligentia auxilium” inked on her left arm, a Latin phrase translated to “watchful diligence assistance”. 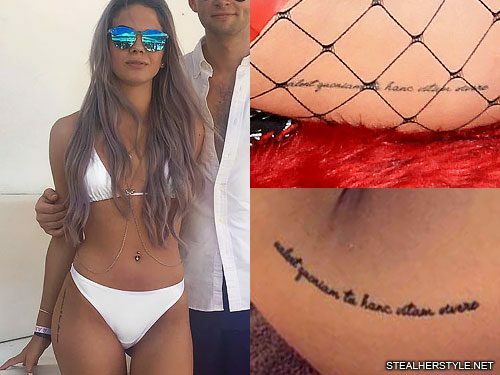 The tattoo says “Certum est quia impossibile est” which is Latin for “It is certain because it is impossible.” This phrase comes from them Christian philosopher Tertullian.